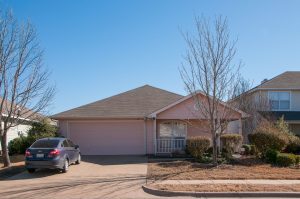 Located right around the corner from downtown in Waxahachie, Texas, you can find this quaint home! This house is move-in ready with sturdy wood floors throughout living areas and bedrooms and fresh paint on the walls. A covered front porch gives the home a cozy feel. Evenings are calm and relaxing here! The attic provides additional storage located directly above the garage. Come and tour this home Saturday, January 27 from 1:00 p.m. to 3:00 p.m. Enter your name in a drawing to win a $25 giftcard! To inquire, please call (817) 779-4963 or email kimprattteam@gmail.com.